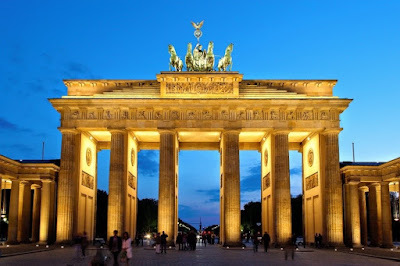 Josie Hagen Ministries: The Brandenburg Gate! Arise and Shine in the Glorye of the Lord - We Declare our Commander in Chief Jesus Christ. In those days came John the Baptist, preaching in the wilderness of Judaea, And saying, Repent ye for the Kingdom of Heaven is at hand. For this is He that was spoken of by the prophet Esaias, saying: The voice of one crying in the wilderness: Prepare you the way of the Lord, make His paths straight. 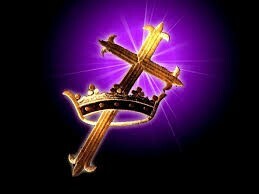 We in the name of Jesus annul our names from the high places and we separate and break the rebellion against God! We and our families are coming out of the Lodge of Torment and mind-control. The seventh angel sounded his trumpet, and there were loud voices in heaven, which said: "The kingdom of the world has become the kingdom of our Lord and of his Messiah, and he will reign for ever and ever." The Beast out of the sea is the opposite to Jesus Christ-and the Seven Spirits of The Lamb. The seven spirits of the beast are deadly, it is the filth, bloodshed and Sodom and Gomorrah. God’s purpose is that we will be forerunners who will cry out for repentance. 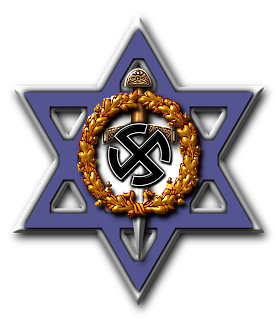 The guardians of the Bloodline of the Beast –The Order of the Priory of Sion, The House of Orange, Began in Germany – Royal House of Nassau, we are coming out of Orange Blood. "It is my ultimate aim to perform an act of creation, a divine operation-the goal of a biological mutation which will result in an unprecedented exaltation of the human race and the appearance of a new race of heroes, demi-gods and god-men". We are coming out of the bloodline and the bloodshed. 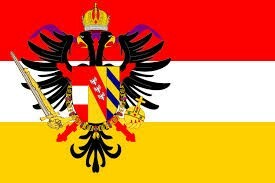 There is so much bloodshed of the three Houses of Germany, Holland, England – ‘’The Houses of Orange’’ –The Seat of the Beast. It binds multitudes of families upon the earth. The Witchcraft starts to flood every man and Knights Templar that sits in the Lodge the ‘Seat of the Beast’ and from there it floods our homes and takes over our family. The Temple of Torment - The Iron Gates will yield! 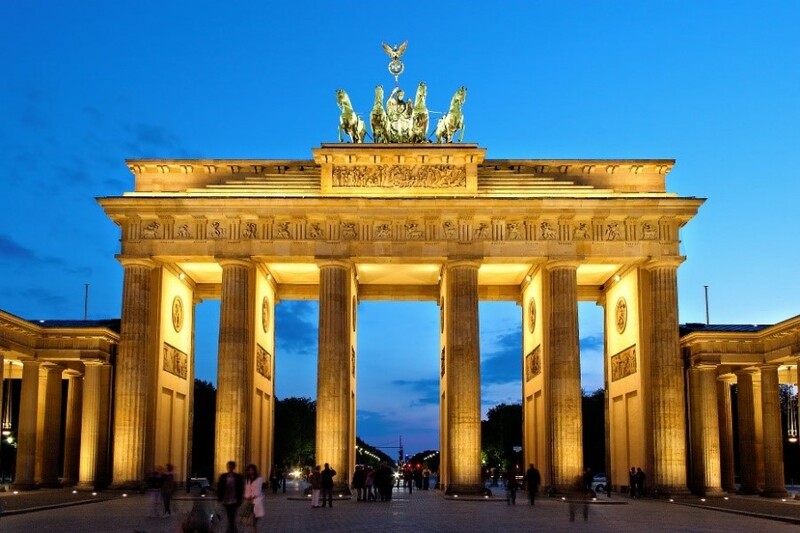 The Brandenburg Gate is known as the ‘’Gate of Peace-It is a major gateway into the city of Berlin. It was also the Gate that Hitler took his entire army through carrying lamps declaring glory and victory by the goddess Nike. On the top of the gate is a chariot and the false four horses of fire of Elijah - the Fiery chariot represents the false ascension of Germany – the fire of the 33rd degree - and false fire brings blood. And as they went as an army through the gate they declared victory over Europe at that time. Nazi Storm-troopers parade through the Brandenburg Gate to celebrate the dawn of a new era. As we are coming more and more into revival of the spirit of Hitler and Frederick of bloodshed and death – we had better be free in the name of Jesus Christ so that we do not come under the same spirit of death. Have the gates of death been shown to you? Have you seen the gates of the deepest darkness? It will break of our lives and families of our children and homes – death and hell will break. They said, "Come, let's make plans against Jeremiah; for the teaching of the law by the priest will not cease, nor will counsel from the wise, nor the word from the prophets. So come, let's attack him with our tongues and pay no attention to anything he says." Calamity upon calamity will come, and rumour upon rumour. They will go searching for a vision from the prophet, priestly instruction in the law will cease, The counsel of the elders will come to an end. 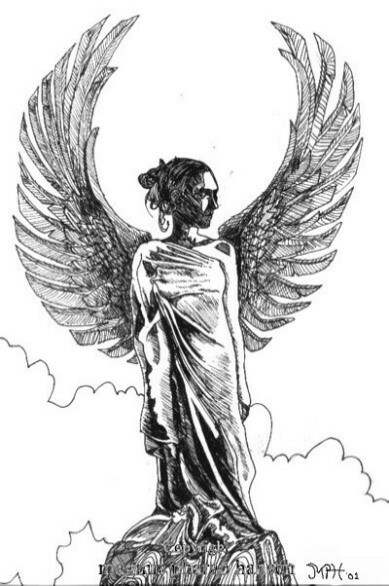 The goddess of victory, Nike was the inspiration for the sports brand and the logo was based on her wings. 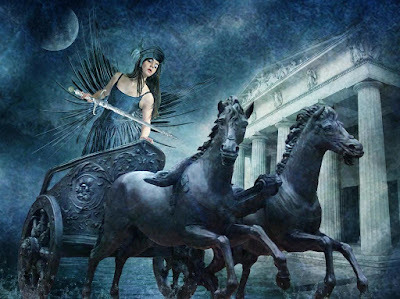 Nike (Pronounced Nigh-Key) "Victory" was a goddess who personified victory, also known as the Winged Goddess of Victory. The Roman equivalent was Victoria - to the German Pagans she was called Zisa-To the Norse and Celtics she was called Niamh - During Ancient times, she was much revered by soldiers and warriors. However, her sphere of worshippers spread far beyond the military. She was called on to help people be victorious in everything from athletic contests to business and politics. The altars which were on the roof, the upper chamber of Ahaz, which the kings of Judah had made, and the altars which Manasseh had made in the two courts of the house of the LORD, the king broke down; and he smashed them there and threw their dust into the brook Kidron. The high places which were before Jerusalem, which were on the right of the mount of destruction which Solomon the king of Israel had built for Ashtoreth the abomination of the Sidonians, and for Chemosh the abomination of Moab, and for Milcom the abomination of the sons of Ammon, King defiled. 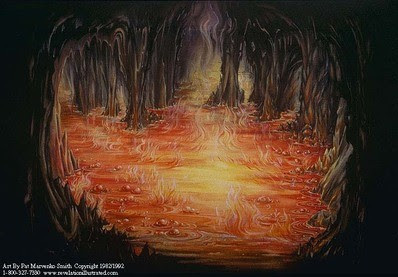 He broke in pieces the sacred pillars and cut down the Asherim and filled their places with human bones. The moon goddess of the Phoenicians, representing the passive principle in nature. Their principal female deity; frequently associated with the name of Baal - Worship of Baal Master. We are preparing to break through – we stand in the power of prayer to declare in Jesus name that depression and oppression is breaking - we are coming free from the gates of death and hell. We declare in Jesus name that the high levels of Illuminati and the Spirit of Hitler of the spirit of filth - of Frederick of Germany - It is breaking – The seat of false power is breaking. The Lodge, a container of Witchcraft – We need to take the blindfold off our eyes. She sits at the door of her house, on a seat at the highest point of the city. And exalts himself above, every so-called 'god' or object of worship, and goes the length of taking his seat in the very temple of God, giving it out that he himself is God. The Specific strategies the Lord is given are for the laying of the axe to the roots of the false glory. 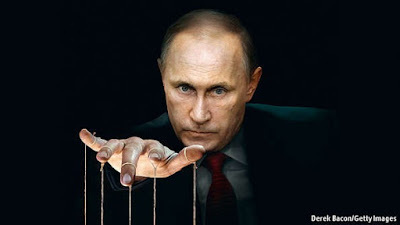 Frederick Psychic Intrusion into Germany – in this time of warfare we are coming face-to face with high levels of Freemasonry in Germany, The Netherlands, England and the nations of the Earth. I spoke once, but I have no answer - twice, but I will say no more." 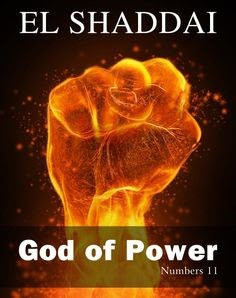 Here is this name, “El Shaddai;” “El,” that is, “The strong one”, for infinite power dwells in Jehovah. How readily may we who are weak become mighty if we draw upon Him! Speer - also known as the 'The Holy Lance', 'Spear of Destiny', 'Holy Spear', 'Lance of Longinus', 'Spear of Longinus') is the name given to the lance that pierced Jesus's side as he hung on the cross in St John's account of the Crucifixion - The Spear of Destiny is an ancient weapon, supposedly forged by the equally ancient Hebrew prophet, Phineas. According to the Hebrew Bible, Phineas was a High Priest of Israel during the Exodus, the grandson of Aaron and son of Eleaza the High Priest - Exodus 6:25 - He was displeased with the immorality with which the Moabites and Midianites had successfully tempted the people Numbers 25:1-9 to worship Baal. We declare in the name of Jesus that the kingdoms of this world are falling – Kingdom of Rome - Greece - Persia – And Babylon - The Prostitute who rides the beast is falling. The Word of God makes it very clear that we are a Godly Nation of people unto God. The Father told Israel He didn’t delight in the offering of bulls and goats, but it was those that made the atonement for the soul. Why? Because since the fall of Adam, man had a sinful nature, had contaminated its own blood. That blood from the bulls and goats purified the soul through expectation of the coming king, but now we have the Blood of the Messiah. His pure Blood cleanses our blood. The only way to deal with man was through the blood of bulls and goats it was a covering - Recognize that if bulls and goats and sprinkling could redeem. How much more Blood of Jesus purge a depraved conscience. The Blood was giving Atonement for the soul. Our soul needed pure Blood to redeem a contaminated soul. God has put pure Blood available for us that will impact the life we live on this earth. If there’s no blood, then we die, for there’s no life for the life of the flesh, or the life of our natural bodies is in the blood. We The Church must shut the Spiritual doors to the Beast, Dragon, Goat god bloodlines. For we have made falsehood our refuge and we have concealed ourselves with deception." Your covenant with death will be annulled; your agreement with the realm of the dead will not stand. When the overwhelming scourge sweeps by, you will be beaten down by it. Jesus Christ must agree that we are coming out of every last thread of the false supernatural. We Declare in the name of Jesus our DNA is changing - we say it - ’My DNA is changing by Blood and Fire-Fire and Blood. This is done thru repentance which sprinkles your heart by the Blood cleansing you from all unrighteousness. He sprinkled the Tabernacle and all the items in it with His Blood Hebrews 9:21 and now every promise is alive with the spirit life of God the Father and the life of our Messiah. Scripture says when Moses had spoken every precept to all the people according to the Bible, he took the blood of calves and of goats, with water, and scarlet wool, and hyssop, and sprinkled both the book, and all the people, saying, ‘this is the Blood of the testament which The Lord your God has enjoined to you. Moreover he sprinkled with blood both the tabernacle, and all the vessels of the ministry. Let us hold fast the profession of our faith without wavering for He is faithful that promised. I will make those who are of the synagogue of Satan, who claim to be Jews though they are not, but are liars. I will make them come and fall down at your feet and acknowledge that I have loved you. They will be herded together like prisoners bound in a dungeon; they will be shut up in prison and be punished after many days. Then I passed by and saw you kicking about in your blood, and as you lay there in your blood I said to you, “Live! And I made you grow like a plant of the field. You grew and developed and entered puberty. Your breasts had formed and your hair had grown, yet you were stark naked. Drowning in Blood: Many US Cities See Murder Rates Soaring. Law enforcement analysts are struggling to wrap their heads around the statistics, trying to find the root causes of the increasing homicide rates across the US. US officials are alarmed at skyrocketing murder rates across the country this year after a long period of decline. The NYPD will add 450 officers to its counterterrorism division. But could that money be better spent elsewhere? New York Police Officer Fatally Shoots Innocent Bystander. More than 35 US cities are facing extraordinary growth in violent crime such as murder, according to a recent survey cited by the New York Times-The cities include New Orleans, Baltimore, Washington, St. Louis, Chicago and New York. But the unfortunate frontrunner among those Cities is Milwaukee, where the number of violent crimes has jumped by an astonishing 76 percent since just last year. But many US residents see that the origins of problems that face nation lie way deeper. “Everybody’s struggling out here, trying to stay afloat, with no jobs, no opportunities,” said Bethann Maclin of Milwaukee. “The violence won’t end. Where do you start?” – Read more in link below. Pope Francis Calls for a New Global Government to Save Humanity. Pope Francis says that global warming is a fact and that a new global political authority is necessary in order to save humanity from utter disaster. The new encyclical that was scheduled to be released on Thursday has been leaked, and it is being reported that this new global political authority that Pope Francis envisions would be in charge of “the reduction of pollution and the development of poor countries and regions” – Read more in link below. The funny thing is that this sounds very much in line with the new sustainable development agenda that is going to be launched at the United Nations in September. This radical new agenda is already being called “Agenda 21 on steroids” because it goes so much farther than Agenda 21 ever did. The new UN agenda does not just address the environment – it also addresses issues such as poverty, agriculture, education and gender equality. "This is an urgent hour to get out!" We need to get out there is now an urgency to get out of the OWO And the Illuminati – And the kingdoms of this World. 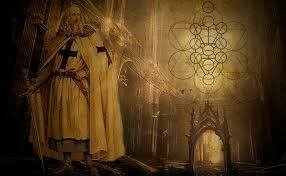 The False Father of the Knights Templar: The Goat. It is the spirit of Baphomet who is the Egyptian goat of Mendez – who is the false alpha and omega. We need to be free from the power of Baphomet goat god in our families. In the name of Jesus Christ of Nazareth break of your bloodlines the spirit of the goat god where it has ruled over our homes and lives. What influences our family – It is to make covenant with Death and Hell. We need to break in the name of Jesus Christ all covenants with Death and Hell, where our life becomes a living Hell on earth. Rome declares Vaticide - which is “Kill the True Prophets” under the spirit of the Wolf. 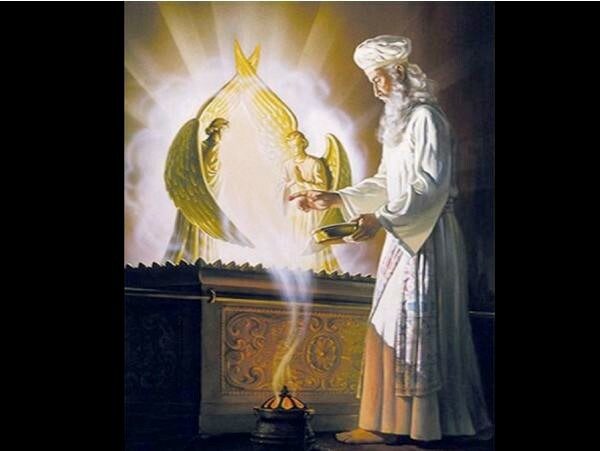 On Yom Kippur - according to the Bible - the High Priest entered the Holy of Holies in the Temple. This happened only on this day out of the whole year. Only the High Priest could enter. He wore a white robe. Pope Francis (the New World Order High Priest) enters the holy of holies of the leading nation in the western world - in world government - The White House in Washington. He is carrying with him the offering of a false gospel of "climate change, social justice and peace". He is wearing a white robe! 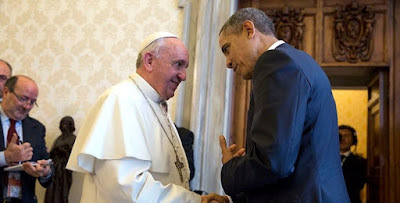 I believe it's NOT a coincidence that the false Prophet Francis and the anti-Christian, pro-Muslim President (both of them are Anti-Semitic- meet on the holiest day in the biblical-Jewish calendar- Yom Kippur. Why this day - this week - out of the all the days in the year. Did they just "happen" to match their Calendar? Later in the week he will stand in front of the UN general assembly and we know that he wants a Palestinian state - he has in his heart an ant- Israeli agenda and a false plan for peace - this on the most Holy week for all Jews! According to the Bible - the book of Leviticus-and therefore according to Judaism- Yom Kippur MUST be a day of rest - all work is forbidden, fasting is required of all. By them doing the exact opposite with a full program - Working, Holding Meetings and Feasting on food - on this particular day - they are sending a clear signal that they do not at all reverence the God of the Bible and that they believe they know better than the God of Abraham, Isaac and Jacob and have no intention of following his commands and His Word. They are sending the signal "we are Over and Above God and do not need to repent or to seek His face on this day" - and we don't need any Jews - or Feast observant messianic believers - in our work force or activities surrounding our program. "He Is ridiculed for his mendacity"
They will not die in their dungeon, nor will they lack bread. King Nebuchadnezzar 0f Babylon demanded Beast worship and the worship of the image of the Beast in his Kingdom. He took the whole kingdom into the worship of the Beast and the bloodline of the Beast. He declared ‘if you do not bow down, you will go into the fiery furnace and you will go down to the Lion’s Den of fire and Blood. 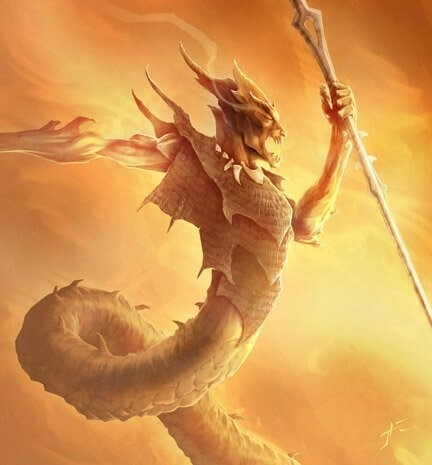 The serpent seed Kings and Rulers of the world are preparing to unite to make war against the Most High. The United Nations and the Vatican are working to keep pace with their prophetic timeline script that would have allowed them to catapult the world into a new era. Their prophetic agenda would have allowed them to have over a thousand years free of resistance enabling them to continue their genetic bombardment on humanity through their cancerous vaccines,- chemtrails - gmo foods creating their habitat that would support the hybrid human genetic makeup that would allow them to extend their life span artificially. And he will go on before the Lord in the spirit and power of Elijah, to turn the hearts of the fathers to their children, and the disobedient to the wisdom of the righteous--to make ready a people prepared for the Lord." The Full Marriage Of-The Lamb has come and His Wife is making herself ready! This Bride has all legal rights removed from her due to spiritual Adultery, Harlotry, Seduction, and Fornication. The Lord, The Husband, is laying a Foundation in Holiness, righteousness and Purity. He is restoring her and keeping us safe. Now all these things are from God, who reconciled us to Himself through Christ and gave us the ministry of reconciliation-namely that God was in Christ reconciling the world to Himself, not counting their trespasses against them, and He has committed to us the word of reconciliation. Therefore, we are ambassadors for Christ, as though God were making an appeal through us; we beg you on behalf of Christ, be reconciled to God, The Atoner and Redeemer of our Soul’s. I will go before you and make the rough places smooth; I will shatter the doors of bronze and cut through their iron bars. I will give you the treasures of darkness And hidden wealth of secret places, So that you may know that it is I, The LORD, the God of Israel, who calls you by your name. For the sake of Jacob My servant, And Israel My chosen one, I have also called you by your name. I have given you a title of honour, though you have not known me.